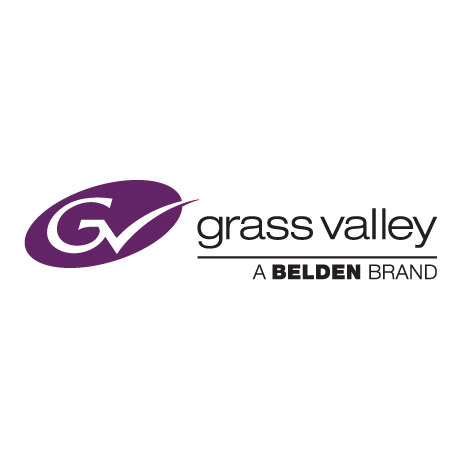 MONTREAL, April 8, 2014 — Mobile TV Group (MTVG) has turned to Grass Valley, a Belden Brand, to upgrade eight of its dual-feed mobile production trucks with a workflow that delivers stunning imagery with super and ultra slow-motion replays for its clients. MTVG has purchased 16 LDX XtremeSpeed (LDX XS) 6X ultra slow-motion cameras and eight K2 Dyno Replay Systems for the delivery of compelling live sports coverage with crisp imagery for instant replays and highlights packages. Seven FOX Sports regional networks will receive these systems along with one for Root Sports Rocky Mountain. Each mobile unit will have two ultra slow-motion cameras. MTVG operates one of the largest HD mobile production fleets in the United States, providing trucks for roughly 4,000 live sports and entertainment events each year. It has been working with Grass Valley for many years and owns more than 250 of the company’s cameras and 28 of its production switchers. This is its first K2 Dyno purchase. According to MTVG’s general manager Philip Garvin, the company had planned to use the LDX XS and K2 Dyno on a field trial-only basis with its clients. However, the MTVG team was so impressed with the overall quality of Grass Valley’s 6X workflow during the trial that they decided to move forward with a purchase and put the full systems to use immediately. “Initially this began as a test run with FOX Sports regional networks and Root Sports at the spring training baseball games, but after we saw the stunning image quality and ultra slow-motion instant replays from the new workflow, we decided to go ahead and order the gear immediately,” said Garvin. “This is an outstanding development in super slow-motion and ultra slow-motion production, and we expect it to be a real game changer in the industry. The 6X images from the LDX XS captured such fine detail, and the speed of the K2 Dyno, which includes AnySpeed dynamic playback, was truly unmatched.” MTVG plans to incorporate additional 6X workflows from Grass Valley into its mobile fleet within the next two years. Grass Valley’s new LDX XS camera delivers ultra slow-motion at 360-frames-per-second (720p/1080i), which is twice the speed of today’s standard 3X super slow-motion cameras that typically deliver 180 frames of video per second. It is also the first ultra slow-motion camera system with instant time-to-air capabilities and full support of the traditional 3X super slow-motion workflow. With an impressive 6X speed, it’s the first camera of its kind to combine live workflows with higher than 3X speeds. With its standard-speed 1X live output, it’s an ideal complement to Grass Valley’s existing LDX range that includes the LDX Flex, LDX Première, LDX Elite, LDX WorldCam, and LDX Compact advanced imaging cameras. The LDX XS is also available in a compact form factor with the LDX Compact XtremeSpeed camera. K2 Dyno supports Grass Valley’s new high-speed slow-motion HD cameras for ultra slow-motion sextuple-speed (6X) and super slow-motion triple-speed (3X) acquisition. K2 Dyno also features the new AnySpeed dynamic playback algorithm, which delivers smoother playback at any variable speed from 0% to 200%.